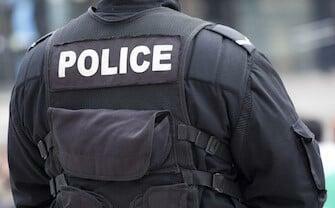 Case Closed Software™ is the leading investigative case management system made specifically for Law Enforcement, Police Task Forces, State Investigation Bureaus, and other Units. We build the industry’s only fully-featured and fully-integrated browser-based system for Investigation Case Management. Accessible on any device in any location, Case Closed Software is recognized as the most feature-rich solution for serious investigations. ​Call Us Now for your Free Demo! What Is Case Closed Software? CASE CLOSED SOFTWARE™ is powerful Investigative Case Management Software designed and developed BY law enforcement investigators FOR law enforcement investigators. 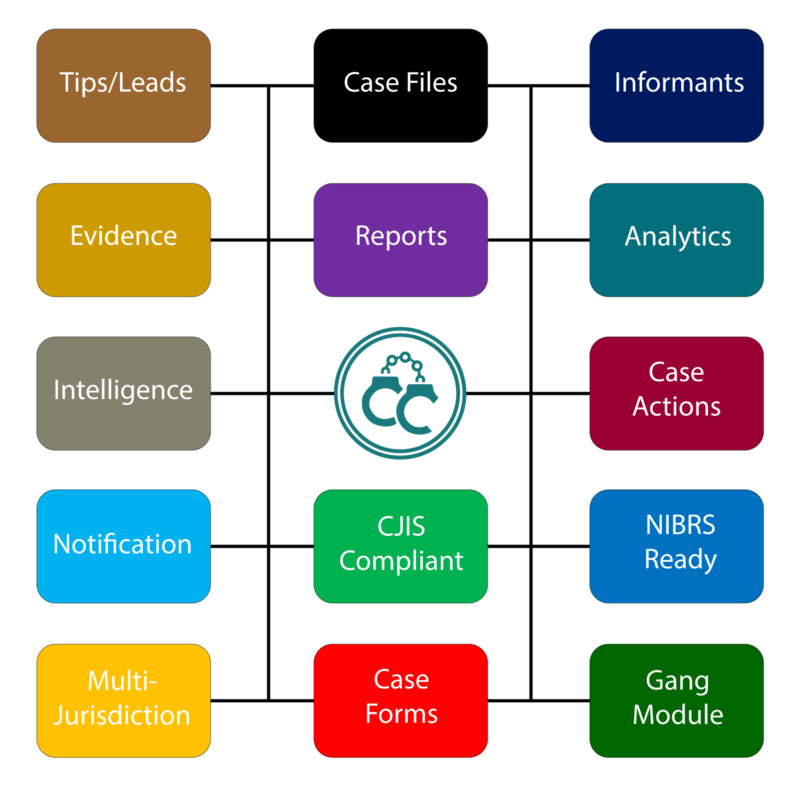 Case Closed Software is a popular solution for Law Enforcement, Criminal Investigation Units, State Bureaus, Gang & Drug Task Forces, District Attorney Offices, and other Investigative Agencies. NIBRS-ready, Case Closed Software is available in both 'on-premise' and super secure, CJIS-Compliant cloud-based deployment models. Contact Us for your FREE DEMO!! Who Uses Case Closed Software? Designed by former drug task force members, Case Closed Software is perfect for multi-jurisdiction units. 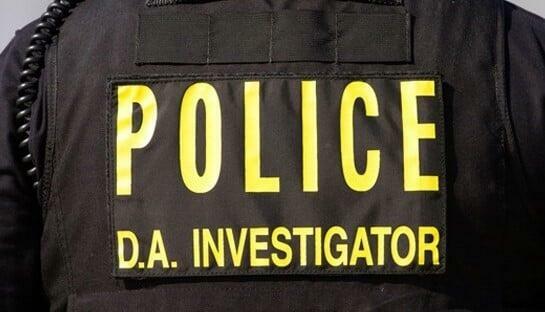 Task Force agents - irrespective of their home jurisdictions - work cohesively and seamlessly together in real time. Case Closed Cloud provides a complete end-to-end Task Force management solution including NIBRS reporting. Case Closed Software is used by U.S. State and Federal agencies because of the flexibility it provides. Field offices work hand in hand with Headquarters to manage entire cases from Crime Scene to Disclosure. Task management, customized reporting, multi-location evidence with chain-of-custody, and advanced analytics are all an integral part of your solution. Be free of the inadequate case management portion of your existing Records Management System (RMS). Case Closed Software operates entirely independent of your RMS to provide unparalleled productivity with a focus on solving major cases, not incidents. On request, Case Closed Cloud can pull case numbers from your existing systems and push back the final investigation results. Case Closed Software allows you to build and manage complete dossiers on People, Places, and Things. Know in an instant the entire history of interactions with all entity types. Track threats, attach documents and multimedia, and allow your clients read-only access to your case files. From Counterfeiting to Ethics investigations, Case Closed Software is an excellent choice for your investigative firm. Law Enforcement has done their job. The investigation, however, is far from over. With its friendly, intuitive interface and unmatched feature set, Case Closed Software helps DA and Public Defender investigators ensure that the case is properly investigated and organized for court. Copyright 2019 Crime Technology Solutions, LLC (dba Case Closed Software). All rights reserved.